This material, including copyright and markets under the Trade Marks Act (Canada), is owned by Camping In Ontario/Ontario Private Campground Association and protected by intellectual property law. 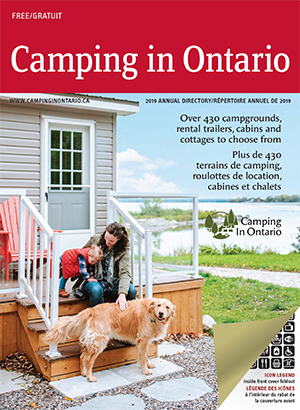 The information on the website is property of Camping In Ontario/Ontario Private Campground Association, intended for informational purposes only, and cannot be redistributed, sold, or used as a source of information for any media including, but not limited to, websites, advertising, distributions, and databases. The information from this website cannot be saved or copied without permission from Camping In Ontario/Ontario Private Campground Association for any purpose. Material found on this site, including graphic elements, may not be used or reproduced for commercial purposes without the prior written consent from Camping In Ontario/Ontario Private Campground Association. Individual graphic elements of this site, including the Camping In Ontario/Ontario Private Campground Association logo, may not be incorporated for use in commercial or non-commercial documentation without the prior written consent of Camping In Ontario/Ontario Private Campground Association. Publications available on this site in Adobe Acrobat Reader (PDF) format may be reproduced or redistributed for non-commercial purposes, providing Camping In Ontario/Ontario Private Campground Association is acknowledged as the source, and due diligence is exercised in ensuring the accuracy of the materials reproduced. Camping In Ontario/Ontario Private Campground Association does not necessarily endorse the content or views of web pages externally linked to this site.